Nothing is safe from the Internet. In the age of Facebook, nothing stays private. Cheating, drama, people you’re “talking to,” and even things you never wanted to know about family members all get posted. 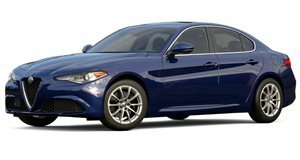 Now Alfa Romeo has had its underwear hung out to show when a page entitled “Alfa Romeo Project 952” leaked the engine lineup for Alfa Romeo’s Guilia, an upcoming competitor to the Mercedes C-Class, Cadillac ATS, and BMW 3 Series. If the photo holds truth, then the Germans should worry about Italy’s entry into this market. The Guilia will have three engine types with varying output. The 2.0-liter four-banger will get 200 hp, 250 hp, and 280 horsepower depending on the spec. The 2.2-liter four-cylinder will start at 150 horses, move up to 180 horsepower, and cap off at 210 ponies. The most exciting engine is said to be “inspired by Ferrari” and will be a 2.9-liter turbocharged V6 with rear wheel drive, an optional double clutch transmission or manual, and either 490 to 500 horsepower. All models will be rear-wheel drive except the 250 horsepower and 280 horsepower 2.0 liters as well as the 2.2-liter 210 horsepower version. All we can say is that we are excited to see how some Italian pizzazz fits into this crowded but popular segment.